Orange Stout Braconid Wasp - Campyloneurus sp. 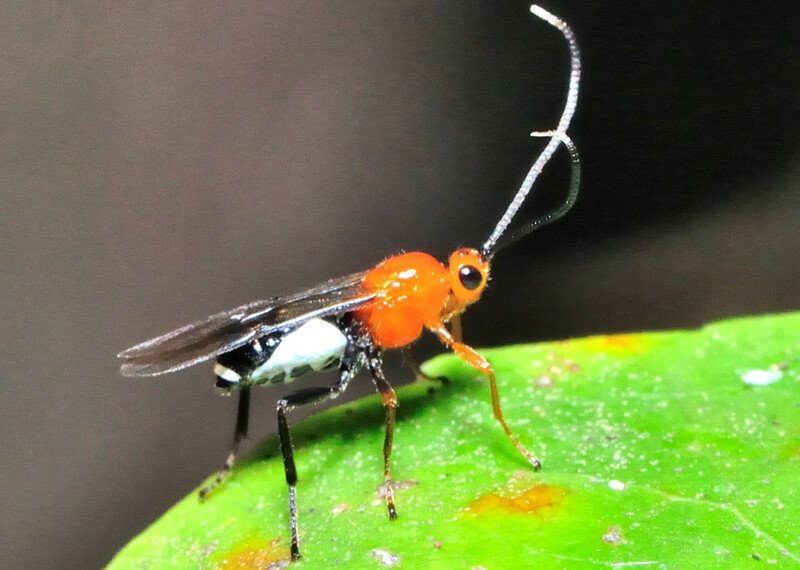 This page contains pictures and information about Orange Stout Braconid Wasps that we found in the Brisbane area, Queensland, Australia. 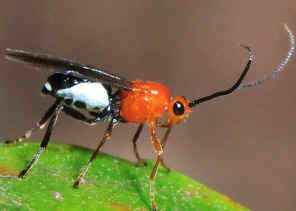 This wasp has the abdomen shorter than the thorax. We found this wasp on Mt Coot-tha on Mar 2010. 1. Braconine wasps of Australia - Quicke, D.L.J., Ingram, S.M. (1993), Memoirs of the Queensland Museum 33 (1): 299-336. Last updated: September 06, 2012.